Stonewarepottery for kitchen useisfiredinagaskilnto2345°F. Casseroles and other dishes are dishwasher safe and oven-proof. They are safe to use in a microwave, regular or convection oven. When using for baking, place into a cold oven and turn it on to the proper temperature. Porcelain clay mugs are durable, food safe, microwave oven and dishwasher safe. 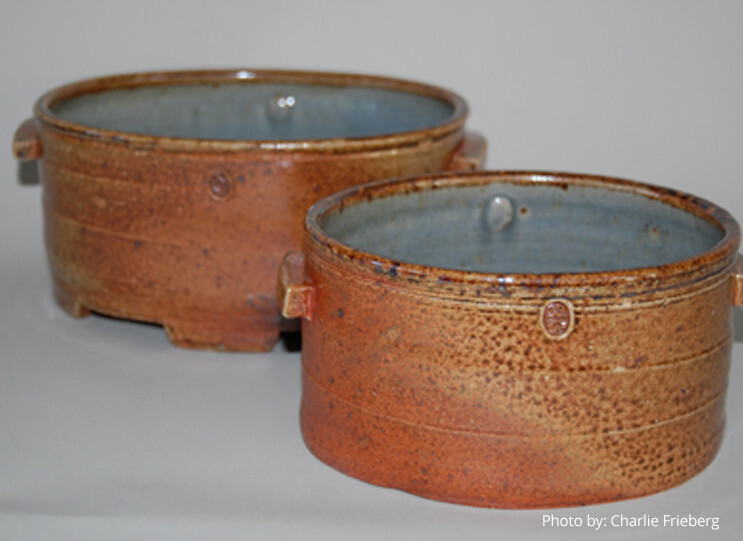 They are made on a potter's wheel and, after glazing, fired in a gas kiln in a reduction atmosphere to 2345 °F.